This week’s episode of Parks and Recreation will include a guest appearance by Saturday Night Live’s Andy Samburg. We have some details about the episode as well as a few video clips to share with you. Spoilers ahead! 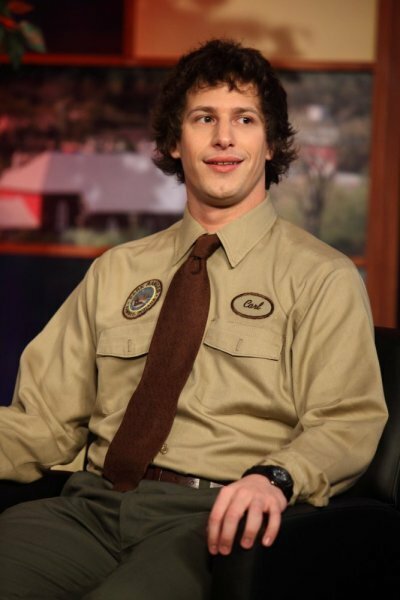 Andy Samberg as a park ranger? I don’t know why but I don’t have a hard time picturing that. Below is NBC’s episode description for “Park Safety” and further down are the clips. Parks and Recreation airs Thursdays on NBC (8:30-9 p.m. ET) on NBC.